FNV, a first of its kind national brand, has signed on major celebrities like Stephen and Ayesha Curry, Cam Newton, Cindy Crawford, Jessica Alba, Kristen Bell, and Victor Cruz as the brand continues to build a fresh and bold movement behind fruits and veggies. Of the $2 billion per year spent on advertising food & beverages to youth, less than one percent is spent on healthier foods. Now, celebrities are gracing billboards, infiltrating internet radio and dominating newsfeeds to give fruits and veggies some skin in the game. 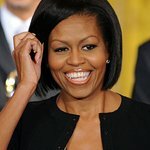 Launched in 2015 by the Partnership for a Healthier America (PHA), of which former First Lady Michelle Obama is an honorary chair, the FNV campaign has been flooded with support from new celebrities, partners and fans who want to support the work that Mrs. Obama began during her years in the White House. Committed to building a healthier America, read in the former First Lady’s own words how proud she is to be on Team FNV alongside so many celebrities using their star-power to get America to eat more fruits and vegetables. Fruits and veggies need a campaign as bold, bright and colorful as they are. FNV has already seen the power in using out of the box marketing as a tool to inspire young people to eat more fruits and veggies. Research conducted by PHA in pilot markets shows that seven out of 10 survey respondents reported eating more fruits and vegetables after seeing or hearing about the campaign while grocery retailers who brought the campaign in-store saw an a measurable rise in produce sales. Now in major cities nationwide, FNV is making waves with headlines like Kristen Bell Likes Her Veggies Frozen, through viral content like Michelle Obama and the Final Five powering up with fruits and veggies that has garnered over one million views to date, and at events like iHeart Radio’s Fiesta Latina giving away peach better have my money swag. The national FNV campaign is powered by partners such as powerhouse brand Ocean Spray Cranberries, leading healthcare providers BlueCross Blue Shield of North Carolina and Trinity Health, and influencer engagement leaders Whistle Sports, which brings their over 213 million social followers to the campaign. Fueled by their nationwide expansion, FNV is now launching innovative public private partnerships at the state level aimed at addressing public health challenges through Supplemental Nutrition Assistance Program Education (SNAP-Ed) initiatives reaching low-income individuals and families in communities that lack access to affordable and diverse produce options.